Lazing along the West Branch of the Sacandaga River. 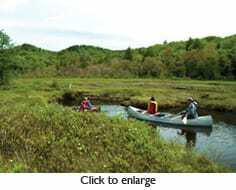 For the casual and experienced paddler alike, one of the great joys of canoeing in the Adirondacks is to ease your way along a flat, meandering stream through open country. 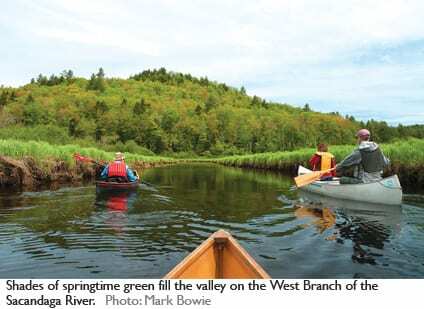 Though maybe not as well known as some northern routes with similar character, a stretch of the West Branch of the Sacandaga River in the Silver Lake Wilderness offers the joys of a low-key float, combined with easy access and a comfortable paddling distance. On the day after Memorial Day, my wife Jeannie and I had the river to ourselves, except for paddling companions Mark Bowie and Mike Prescott. I suspect that canoeists would find similar solitude almost any time they make this trip. 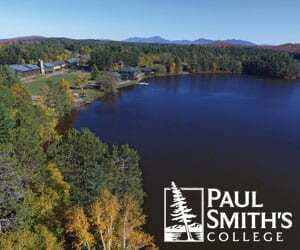 Though this route in the southern Adirondacks is within easy driving distance of the Capital Region, it seems to have escaped popular attention. The weather was ideal in the most important way it can be in late May. A steady breeze held through the day, knocking down all but the most intrepid black flies. Without a breeze, the combination of wild setting, plenty of water, and marshy surroundings could make this a buggy route in the worst days of black-fly season. As it was, we donated little blood and enjoyed a cool sunny morning, with clouds thickening gradually through the afternoon. Our plan was to paddle about ten miles along the north-flowing stream, putting in at a place called “first bridge” and taking out near an area called Shaker Place, because it was the site of a short-lived Shaker farm in the early 1800s. The name “first bridge” caused us a bit of confusion at the beginning of the day. Arriving from the south and relying on a description in Barbara McMartin’s Discover the Southern Adirondacks, Jeannie and I pulled off at the first bridge we came to, a little more than 1.5 miles north of the Hamilton County line. Mark and Mike, arriving separately from the north, pulled off at the first bridge they came to, a bit downstream of where we waited. They soon figured out what had happened, and Mark came to retrieve us. Mike, a licensed guide who had made this trip before, reported that the stream between our two bridges is rocky and requires lining, so we chose their put-in. Once we had successfully rendezvoused, we spotted a car at the take-out, parking on a wide shoulder of Route 10 just south of the intersection with Shaker Road. Parked here, the car was visible from the water and served as a marker for our exit from the river. Some people park on Shaker Road and take out just downstream of where we did. Either location requires hauling gear up a bank from river to vehicle. The state plans to establish a parking lot at Shaker Place and improve the take-out. The state purchased an easement on this property several years ago as part of a mammoth land deal with International Paper. Just past the take-out, the West Branch drops in a series of rapids. On the drive to the take-out we passed the vacant lot where Avery’s Hotel once sat, offering views of the grasslands that the West Branch flows through and the rounded hills that cradle the valley. According to Mike, one of Avery’s claims to fame was the Park’s largest stuffed bear displayed in its lobby. We also passed a faded sign announcing a game preserve along the riverside. This, too, had been part of the hotel operation. The history of this area includes an attempt in 1949 to dam the river as part of a sprawling flood-control system proposed to regulate the Hudson River. 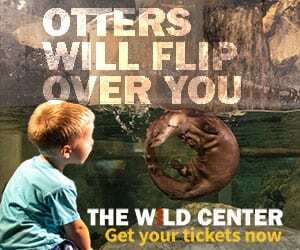 The noted conservationist Paul Schaeffer and his allies successfully blocked this and other dams that would have drowned some of the most beautiful landscapes in the Park. Back at the put-in, we launched our boats easily, though the approach is a bit steep. The river is fairly narrow in this stretch, and we encountered a couple of beaver dams and two driftwood tangles. The water was high enough for us to float smoothly over the dams, but we had to carry around the driftwood obstructions. That involved some work at the first one as we had to push through a small alder thicket. Since Jeannie and I were paddling a bulky aluminum Grumman this required some wrestling. We got around the second tangle easily on an open herd path. After that, there was no need to get out of the canoes until we took out—except for lunch, and that turned out to be a bit of a challenge. As we paddled through the meanders, red-winged blackbirds kept us company and Canada geese swam close to the bank with their goslings. It felt like we were paddling across a meadow as grasses extended in all directions. Mark, with his photographer’s eye, was especially taken with the panorama of greens that began with soft pastels of spring grasses along the river and stretched through the darker shades of new deciduous leaves and the evergreens reaching up the hillsides. The grasses were high enough to shelter but not quite conceal geese on shore. Their heads stayed visible, rising like ornaments above the meadow. We twisted and turned our way for what might have been two miles, passing many backwaters and occasional feeder streams. Coming to a stream entering from the east, we thought it flowed from Trout Lake and headed up to check it out. We soon realized this wasn’t the way to Trout Lake, and when we came to a beaver dam that raised the water level by a good two feet, we decided to return to the main stream. Shortly after that, we came to the real Trout Lake outlet and paddled the short distance into the shallow lake. This is a welcoming spot, a small pond tucked into a valley ringed by low hills. Minnows skipped out of the water ahead of our bow as we explored. 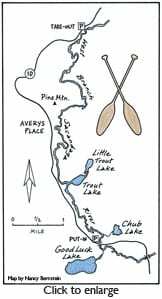 We poked around the lake and at the far end saw that we could lift over some banks and try paddling Little Trout Lake. But the bank was mucky and the second lake was indeed little, so we circled back on Trout Lake looking for a lunch spot. A likely looking dry area on the east shore called to us, but the mucky shallows extended well into the lake. The better part of valor was to keep paddling. Muck is a major presence along the West Branch meanders. A traveler stepping onto a bank in order to munch his sandwich on dry ground would instead sink to calf-depth in many places. Downstream from Trout Lake, the river approaches Route 10, and we could hear traffic and see a few buildings. The meadows widened and the meanders became corkscrews as we made our way downriver. Across from Avery’s Place we found a sand bar solid enough to support a lunch break. Old fence posts and signs from the former preserve blended in with the brush on the riverbank. Resuming our easy pace, we arrived at the take-out. We had traveled about ten miles in a little less than five hours from the put-in. After the last chores of hauling gear up the bank and retrieving the vehicles from the put-in, we called it a day, taking time for a last appreciation of the view of the river lazing its way through the green layers of meadow and hillside. Nice article! well written. >>Has anyone paddled this stretch of the river this year (2014) and can give an update as to the extent of the blow-downs to be circumvented? Also, is the series of rapids just past the take-out navigable with an appropriate boat?